Housing is a scarce resource – that is something that has become increasingly clear in the last few years. As real estate prices in big cities continue to skyrocket, conventional ideas of housing development are proving increasingly unable to meet existing demands. 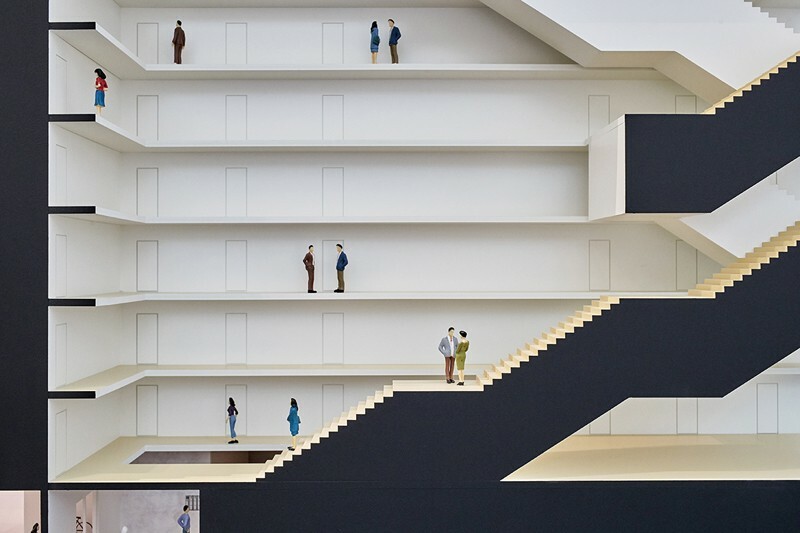 In reaction to these challenges, a quiet revolution in contemporary architecture has been slowly brewing: the act of building and inhabiting homes collectively. Together! 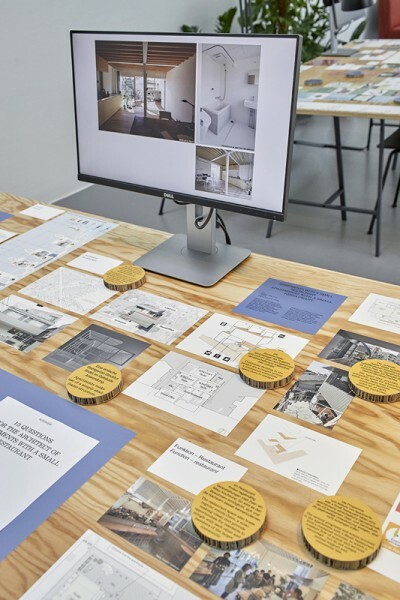 The New Architecture of the Collective is the first exhibition to treat this theme as a global phenomenon and present it in a spatial, experiential manner. 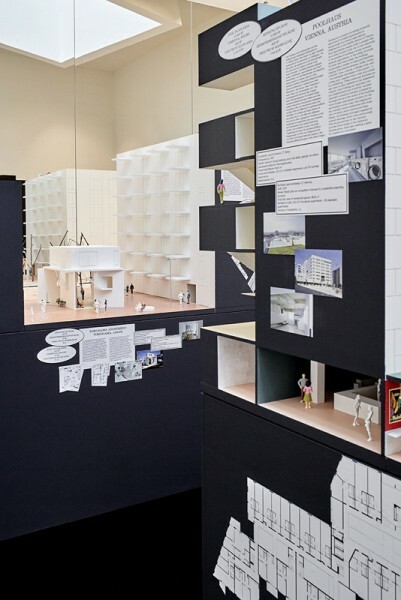 Curated by Ilka & Andreas Ruby along with EM2N, it introduces an extensive collection of projects from Europe, Asia, and North America using models, films, and life-size reproductions of living spaces. 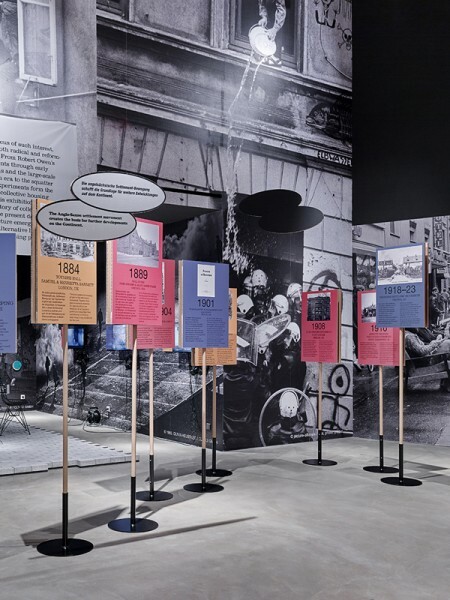 It also presents an overview of historical precedents for the current wave of collectives, demonstrating that the idea of collectivity is a recurring theme in the history of architecture, from the reformist ideas of the 19th century to the hippies and squatters of the 20th. As grassroots movements like Occupy and Black Lives Matter dramatically transform the political landscape and the “sharing economy” revolutionizes the very idea of property ownership, the idea of doing things “together” is more relevant now than ever before. 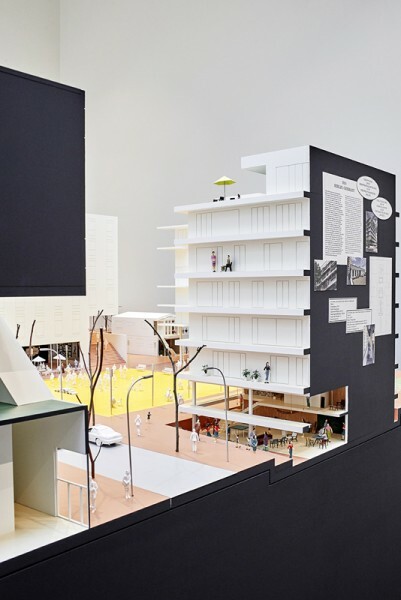 This exhibition translates this idea into the context of contemporary architecture, showing just how fundamentally this new ideal is changing our ideas about building and living. In doing so, it makes clear that these changes are not just a product of individual needs, but rather an answer to a central question of our time: how do we want to live together in the future? 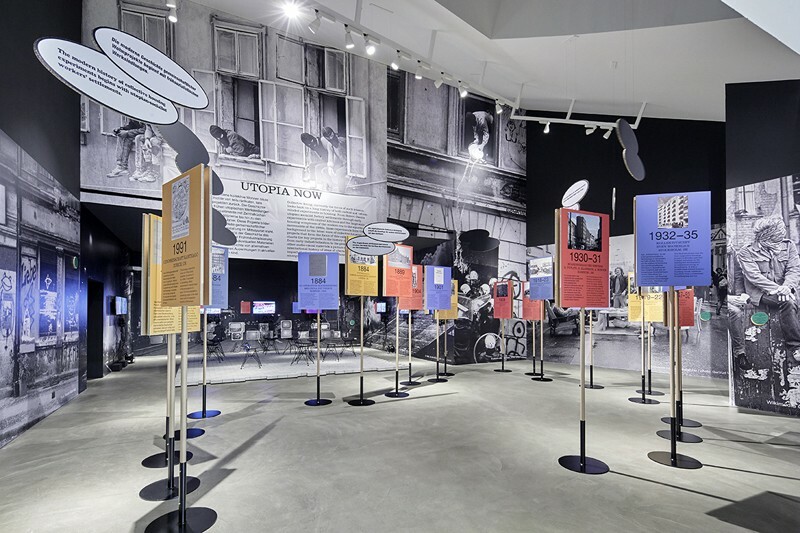 The first segment of the exhibition transports visitors to an urban street where a public demonstration is taking place. 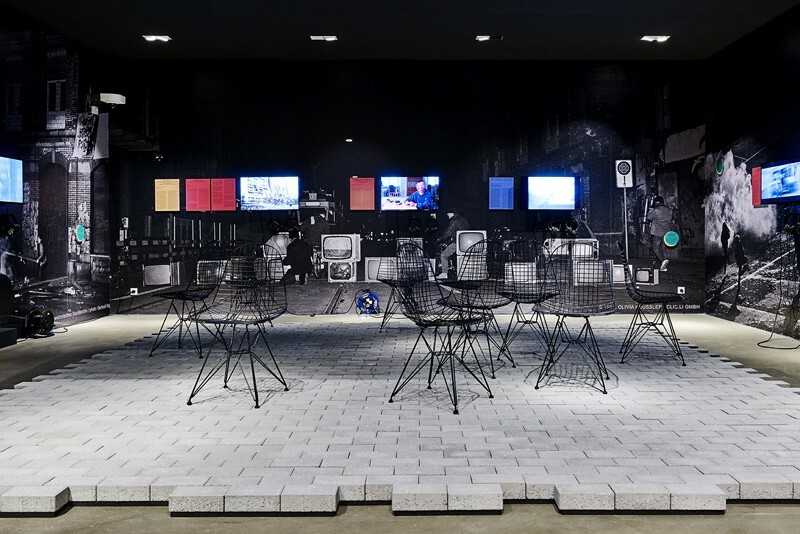 Here, visitors are invited to learn about the history of social housing ideals through a multimedia installation: a series of films documents examples of social unrest that have been triggered by housing shortages, while protest signs provide information about historical projects that have attempted to respond to these challenges. Many of these ideas were closely related to the social changes taking place at the same time – a point that also makes clear why these ideas are gaining in importance again today, as more and more people live in situations that depart from the conventional nuclear family, be it as couples, single parents, singles, or elderly people living alone. For many, collective living is a vision that promises to counteract loneliness while keeping prices affordable. 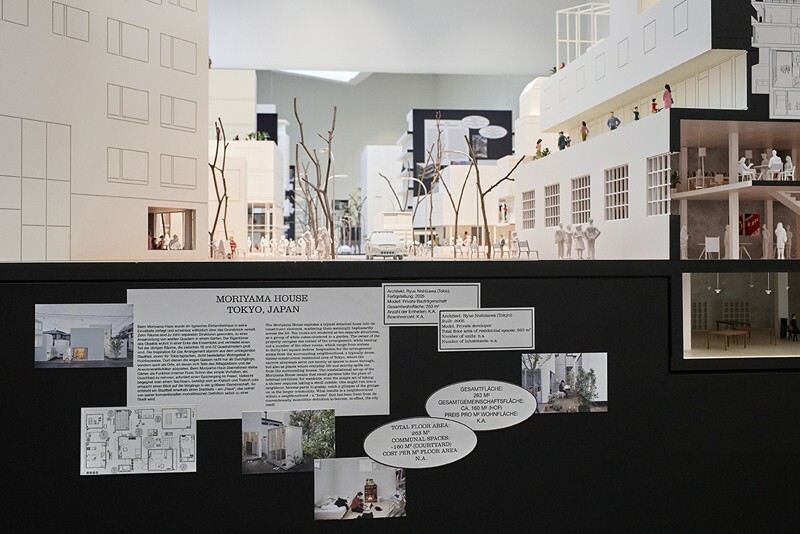 The second segment of the exhibition is an installation comprising 21 large-scale models of contemporary housing experiments – real projects, brought together to create a fictional city that visitors can walk through. 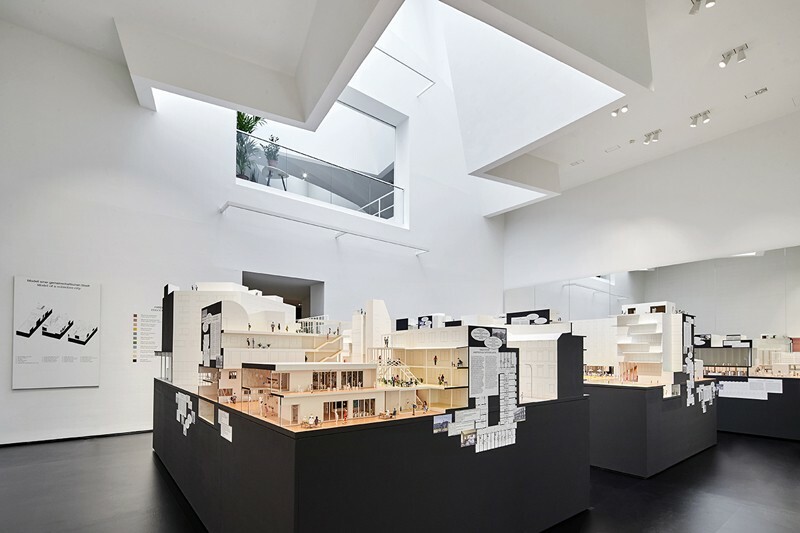 In focusing on the individual projects in detail, the exhibition demonstrates that the new architecture of the collective is also innovative in its treatment of volume, façade, and materials, articulating a unique aesthetic out of the specific challenges and limited resources at hand. 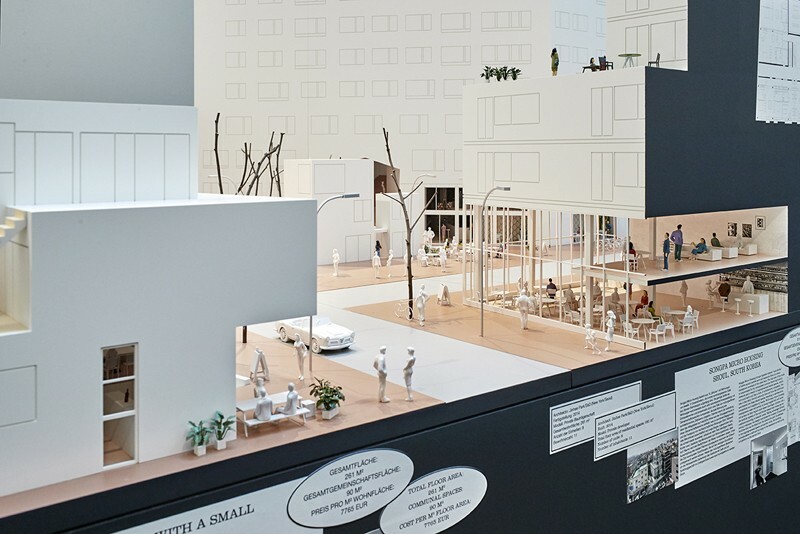 The presentation of the models as an imaginary city additionally shows that many of these projects blur the boundaries between living space and urban space, between private and public. 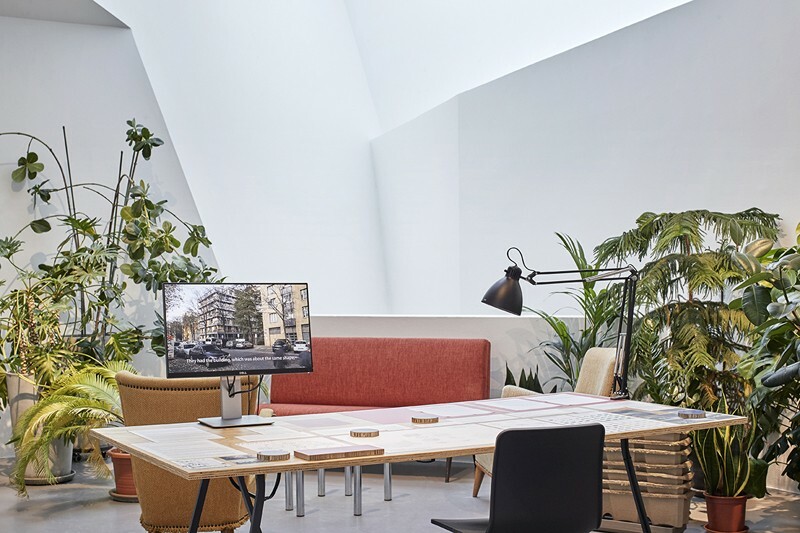 They take advantage of the new combinations of life and work that have become possible with increasing digitalization, thereby making the new housing collective a laboratory for new social developments. 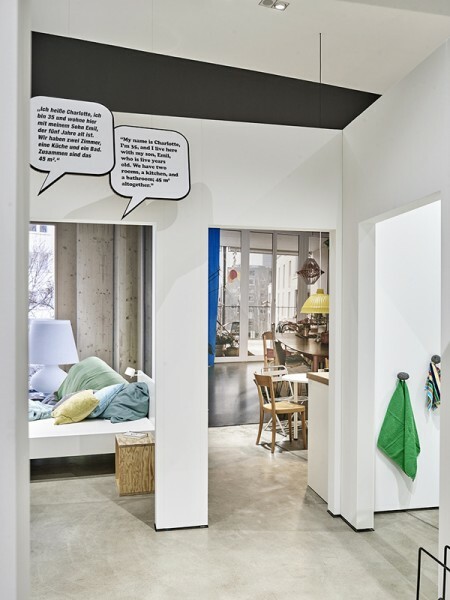 This becomes clear in the third segment, where visitors are transported into a so-called “cluster apartment.” Here, the communal and private spaces that characterize this housing type are reconstructed on a one-to-one scale, allowing visitors to enter and experience them in a tactile manner. 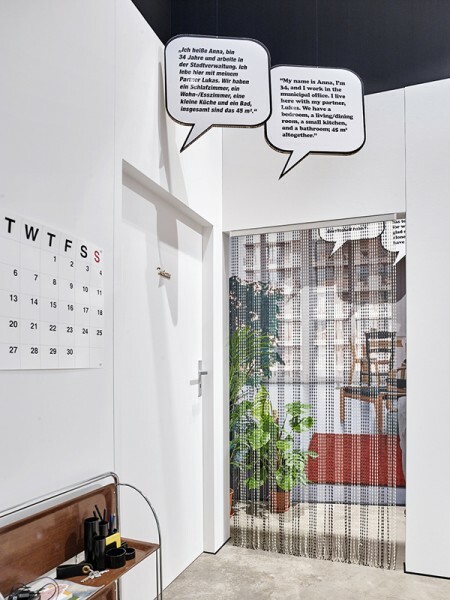 The fictional inhabitants of this cluster are given voice through speech bubbles hung from the ceiling, which address questions about how such an arrangement function in practice. 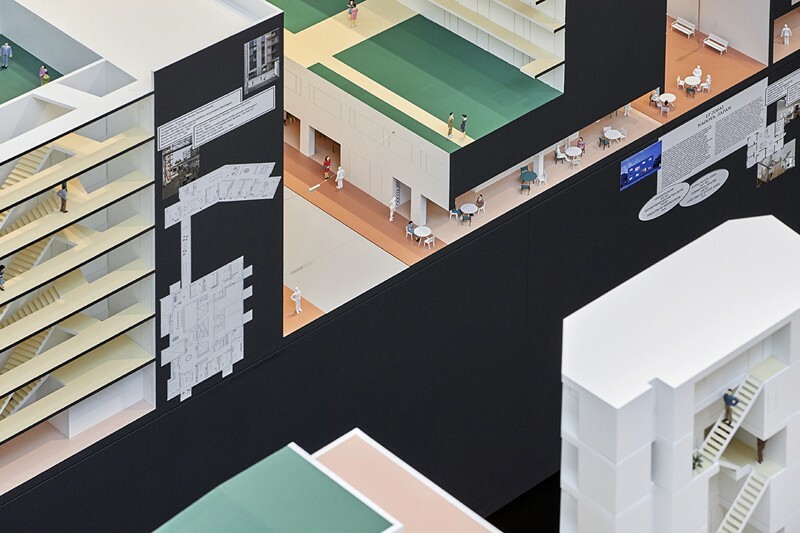 The installation is complemented by visual essays by the photographer Daniel Burchard: specially commissioned for the exhibition, these provide an insider’s look at everyday life in eight of these new collective projects. 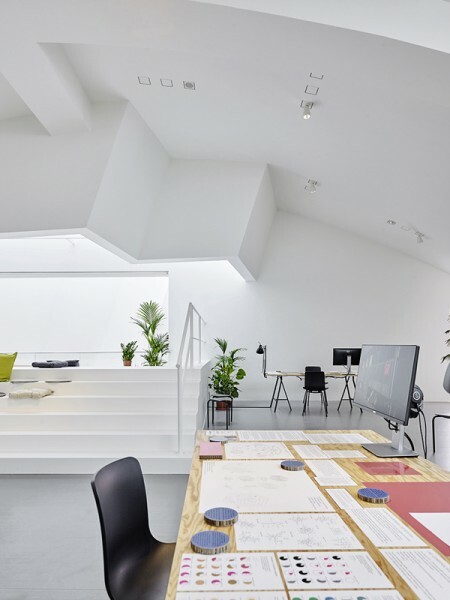 Upon entering the fourth segment of the exhibition, visitors find themselves in an office setting reminiscent of a modern co-working space – with other visitors as officemates. 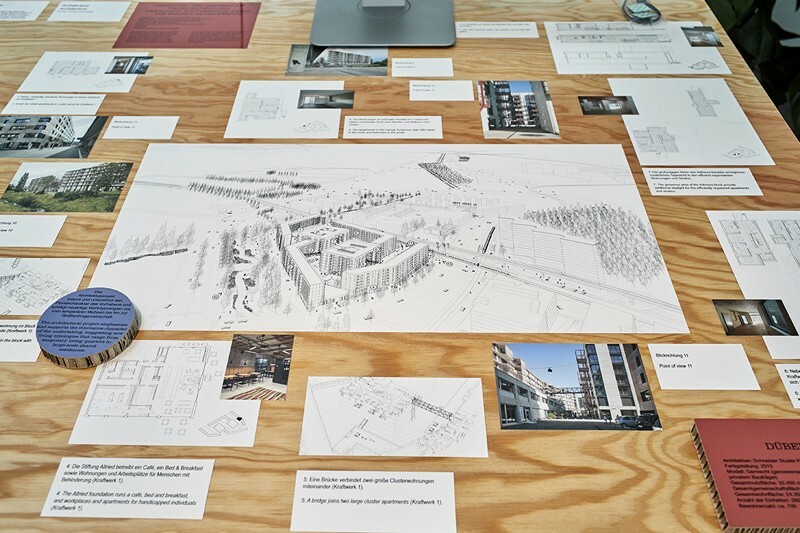 Here, they can inform themselves about the ways in which the new architecture of the collective functions in economic terms, the new challenges that come with it, and how innovative housing forms can actually be put into practice. 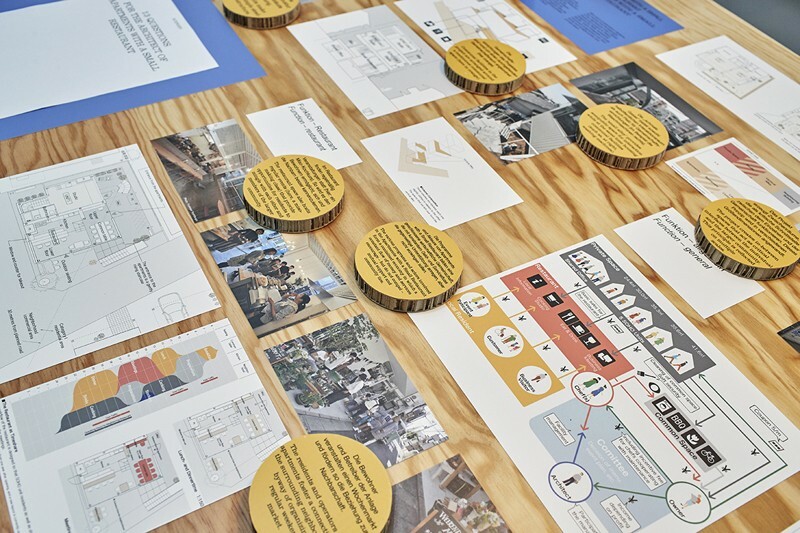 Five projects act as case studies: the Sargfabrik in Vienna, Zwicky-Süd in Zurich, La Borda in Barcelona, R50 in Berlin, and the Apartments with a Small Restaurant in Tokyo. 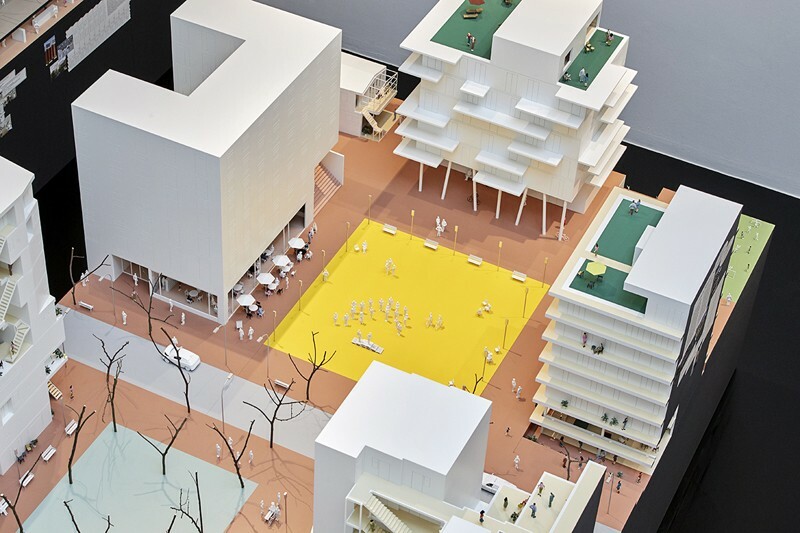 The staging of this area as a workspace calls attention to the fact that the close integration with public life in many of these projects also allows for new financing opportunities. 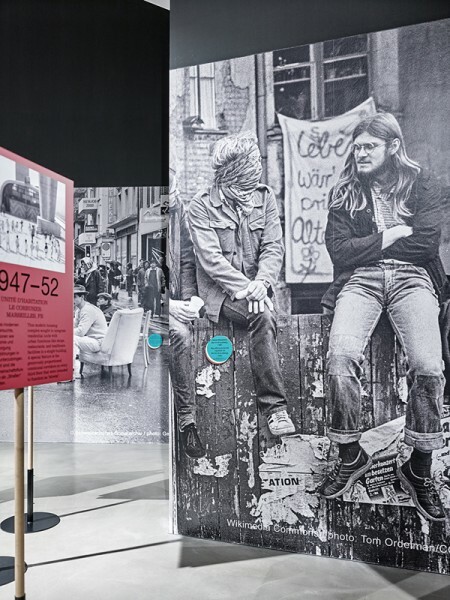 The exhibition is accompanied by a richly illustrated catalog in two languages – the German and English editions can be ordered through the Ruby Press webshop. Dorte Mandrup Arkitekter (DK), CASA Architecten and the Vrijburcht Stichting (NL), ifau and Jesko Fezer/Heide von Beckerath (DE), Hütten und Paläste Architekten (DE), Naruse Inokuma Architects (JP), Naka Architects’ Studio (JP), Studio mnm (JP), Osamu Nishida and Erika Nakagawa (JP), Ryue Nishizawa (JP), ON Design Partners (JP), Jinhee Park, SsD (KR), pool Architektur ZT (AT), gaupenraub +/- (AT), einszueins architektur (AT), Buol & Zünd (CH), Beat Rothen Architektur (CH), Müller Sigrist Architekten (CH), pool Architekten (CH), Enzmann Fischer und Partner (CH), Schneider Studer Primas (CH), La Col Cooperativa d’Arquitectes (ES), BKK-2 (AT), Silvia Carpaneto + fatkoehl architekten + BARarchitekten with Die Zusammenarbeiter (DE), Michael Maltzan Architecture (US), Duplex Architekten (CH), Santiago Cirugeda/Recetas Urbanas (ES), and all(zone) design (TL). 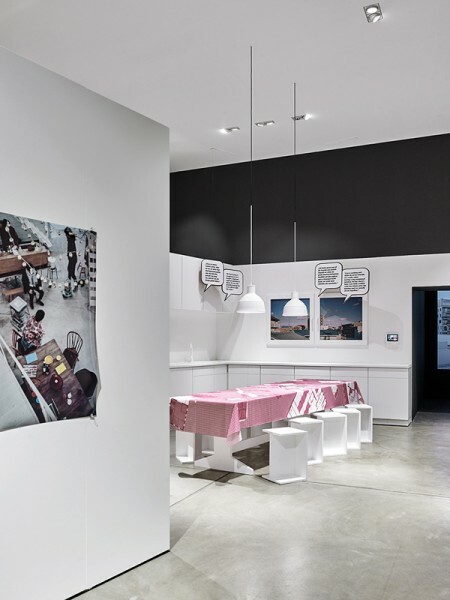 Floor-to-ceiling prints of protests and squats from a variety of cities underline the theme of direct action. The use of a unified scale (1:24) for all models results in some exciting David-and-Goliath juxtapositions. One of the individual apartments in the cluster, housing a single mother with her five-year old child. 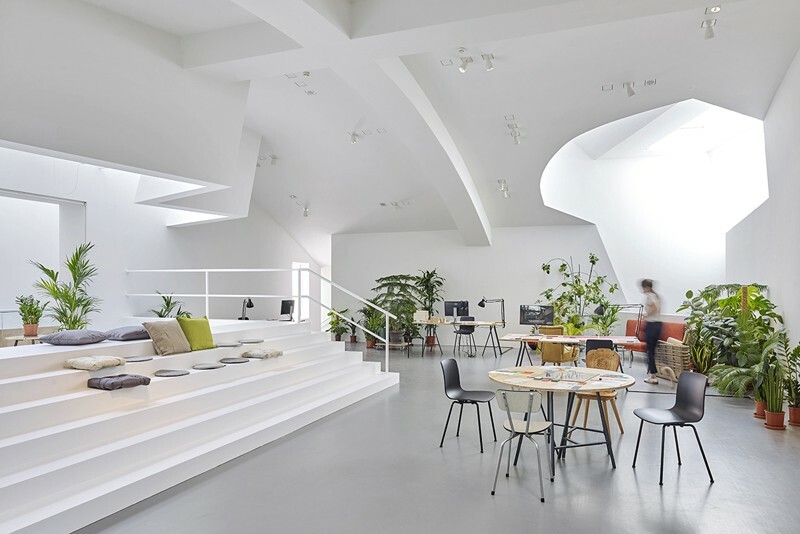 The common space in the cluster apartment, complete with communal library, invites visitors to stay a while. 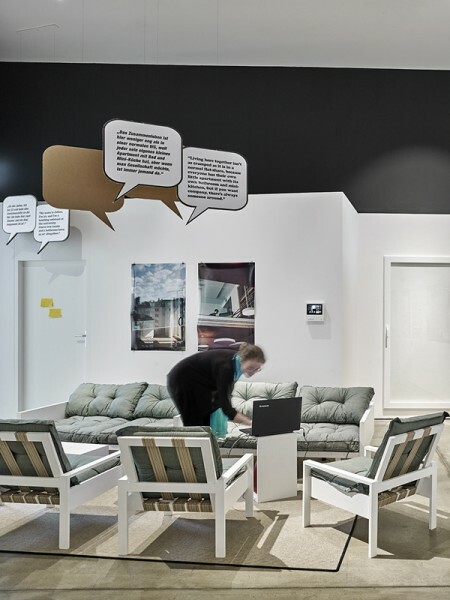 Speech bubbles give voices to the inhabitants of the cluster and explain how they make communal living work. 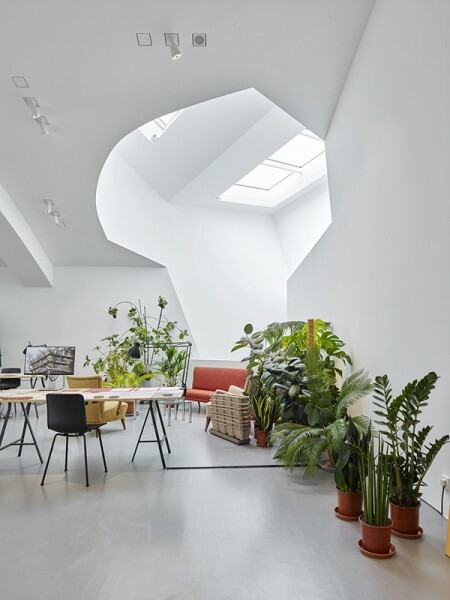 Filled with light and plants, the room is meant to be a recreational space for visitors to hang out. The jumble of different materials on the table is meant to remind one of someone's real desk at work.